What is the context of your work as an art educator? Helena Björk: I work as a teacher of art in a secondary school just east of Helsinki, with students aged 13–15 years. The classes I teach consist of compulsory art classes that cover visual culture widely and optional classes on art, photography or moving image. Aside from teaching I work as a freelance curator and art educator, trying to intertwine the two. I’m especially interested in the encounter between art and the audience. HB: When working on projects, I mostly work with contemporary artists. Lately, I’ve come to work with performance artists like Tonya McMullan whose performance piece Poetic Surveillance took place over the phone. As a teacher, I work with kids born in 2000–2002. Their own visual culture and understanding of the world is immensely interesting to me. There are no other art teachers at my workplace but I keep in touch with colleagues from other schools in order to exchange thoughts and ideas. Also, I have initiated diverse modes of collaboration with local colleagues to integrate different school subjects, such as science and art. The current trend in Finnish elementary school education (7-15 year-olds) leans towards integrating different school subjects in larger thematic entities. This provides great opportunities for working with contemporary art. How would you describe your understanding of art education? HB: I believe educators should create a framework for different approaches to artworks. Sometimes background knowledge is essential for understanding a work but we should be aware of the dangers this might entail, such as narrowing the possibilities of interpretation. How would you describe the (your) relation between education and art? HB: Art is often educational in itself. We’ve all heard of novels that have changed someone’s life. I can recall many times that an encounter with visual art has made me see things differently. Education, in turn, can resemble a relational artwork. From my perspective art and education overlap, just like curating and education. However, if we look at the relation between those who work with art and those who work with education, suspicion and prejudice prevail. One way to overcome preconceived ideas is to replace the word education with learning, like Tate Modern has done. The idea of learning appeals to me more than the term “mediation” or “Vermittlung”, because learning can take place in so many different ways. HB: That’s a good question. Why not believe in direct experience instead? (Like Tino Sehgal, who refuses all mediating) I think mediating can be about so many things besides providing knowledge about the artwork at hand. It could be about sharing experiences and thereby exchanging different world views. The artwork itself might encourage this. I think the reality is that many artworks are so complex that mediating, in one way or another, is inescapable. The interesting thing is how we do it. Please describe the relation between working as a curator and working as an art educator from your point of view. HB: For me, the two tend to merge. Fundamentally, I think all curating involves mediating. Claiming they are separate equals fooling yourself. There are of course situations where working closely with an artist means less dedication to the audience. If an artwork is taking form, a curator might be the first viewer to provide feedback, just like a literary editor is a reader. How important is art education and mediation for a museum/an institution? HB: An institution without ambitions in terms of mediation runs the risk of presenting a very narrow perspective. Still, even with the best intentions, so many things can go wrong. There’s a lot of one-way mediating from the institution to the public going on. And this is still true despite decades of educational theory and avant-garde movements advocating the opposite. To what extent does teaching/mediating art provide the opportunity for concrete action on the audience’s side? HB: Art class in school is all about making choices and standing behind them. It might be simple things like colour, composition and scale, but few other school subjects provide that opportunity. I am convinced that there is a huge potential in the simple combination of freedom and responsibility. Are you working with a special method or innovative strategy? HB: An ongoing project of mine as well as the topic of my master’s thesis is to translate Brecht’s “Verfremdungseffekt” to curating/mediating. Making the ordinary look strange in simple terms can be incredibly effective in inspiring critical thinking. My students often wonder how to mix colors to achieve ”skin colour”. If I simply ask: ”What skin color do you mean?” I can expose whiteness as a norm without venturing into a lecture on the topic. HB: For a couple of years now, I’ve been playing with the thought of publishing teaching material with simple instruction pieces in the spirit of Yoko Ono. I like the idea of openness and not strictly connecting the material to a certain era or curriculum. Instead, I’d like to strongly emphasize contemporary art and interdisciplinary work. Which books, projects were/are important for your work – and why? HB: Paulo Freire has been important for my understanding of education for years now. All of us went to school at one point in our lives. As we tend to copy models we see and experience there, it is crucial to critically rethink and, aim at dialogue including reimagining the way we do things. Maria Lind and Nora Sternfeld, who was my professor in the MA program in Curating, Managing and Mediating Art at Aalto University in Helsinki, have been important influences in thinking curating and mediating together. Any project even with an unexpected outcome has been meaningful for me in some way. How would you imagine the future of art education? HB: I hope art education will find its way into science, language or any type of education and take place outside the context of art much more than today. I hope to see wildly imaginative projects! Helena Björk is an independent curator and art teacher based in Helsinki. She has worked with exhibitions, public art and performance art as well as contemporary art in the elementary school curriculum. Her interests include working across disciplines both as a curator and secondary school art teacher, and investigating encounters with contemporary art in public space. Image 1: Screenshot, Helena Björns facebook-page, December 8th, 2015. 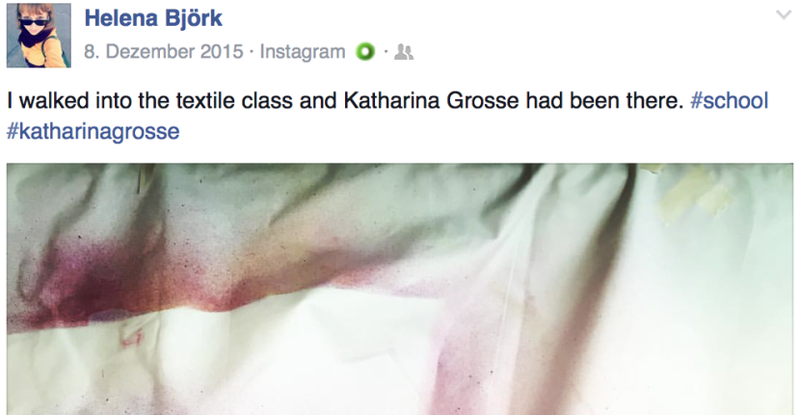 Image 2: Screenshot, Helena Björns facebook-page, September 30th, 2015.